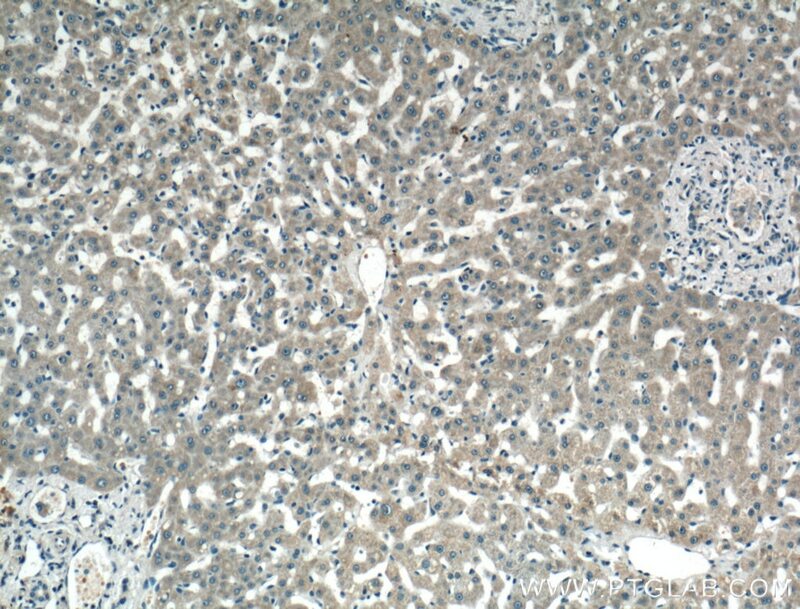 Immunohistochemical analysis of paraffin-embedded human liver tissue slide using 20344-1-AP( LASS2 Antibody) at dilution of 1:200 (under 10x lens). 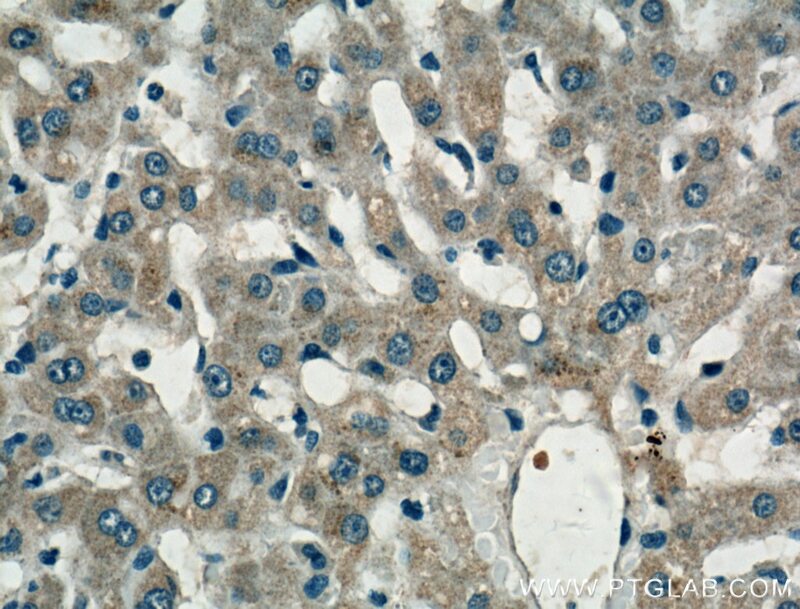 Immunohistochemical analysis of paraffin-embedded human liver tissue slide using 20344-1-AP( LASS2 Antibody) at dilution of 1:200 (under 40x lens). 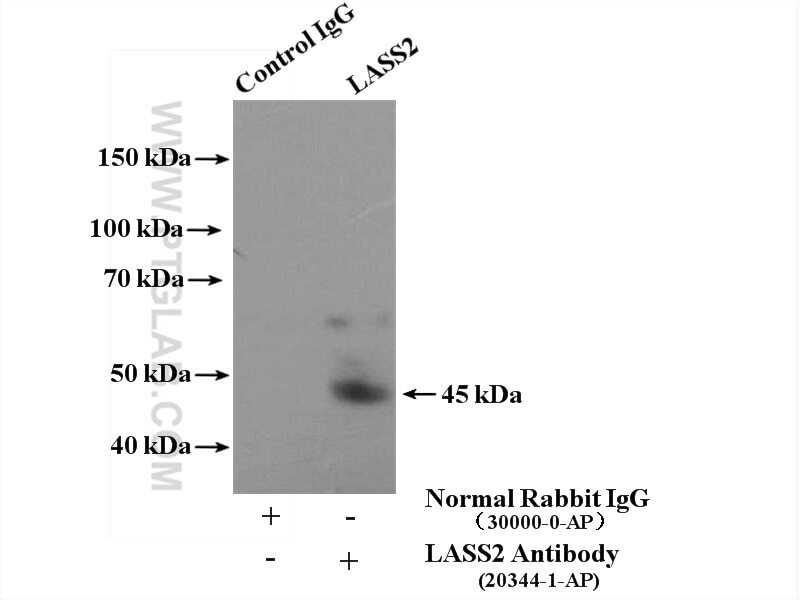 IP Result of anti-LASS2 (IP:20344-1-AP, 4ug; Detection:20344-1-AP 1:500) with HeLa cells lysate 3200ug. LASS2 regulates invasion and chemoresistance via ERK/Drp1 modulated mitochondrial dynamics in bladder cancer cells. MicroRNA-98 promotes drug resistance and regulates mitochondrial dynamics by targeting LASS2 in bladder cancer cells. 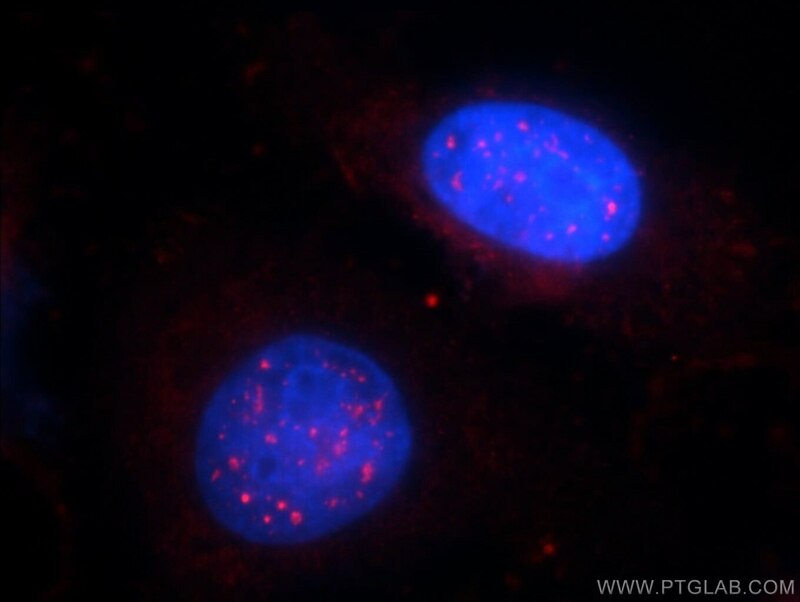 miR-9 promotes cell proliferation and inhibits apoptosis by targeting LASS2 in bladder cancer. 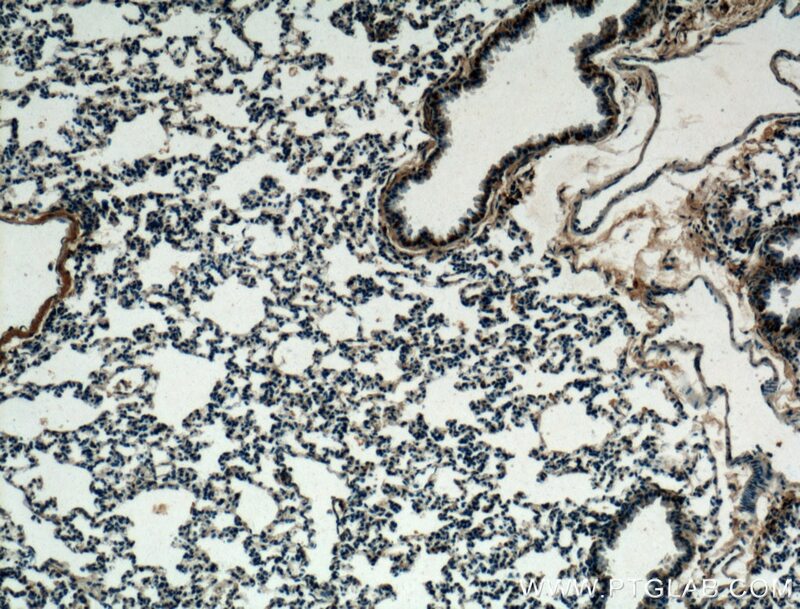 Immunohistochemical analysis of paraffin-embedded mouse lung tissue slide using 20344-1-AP( LASS2 Antibody) at dilution of 1:200 (under 10x lens). 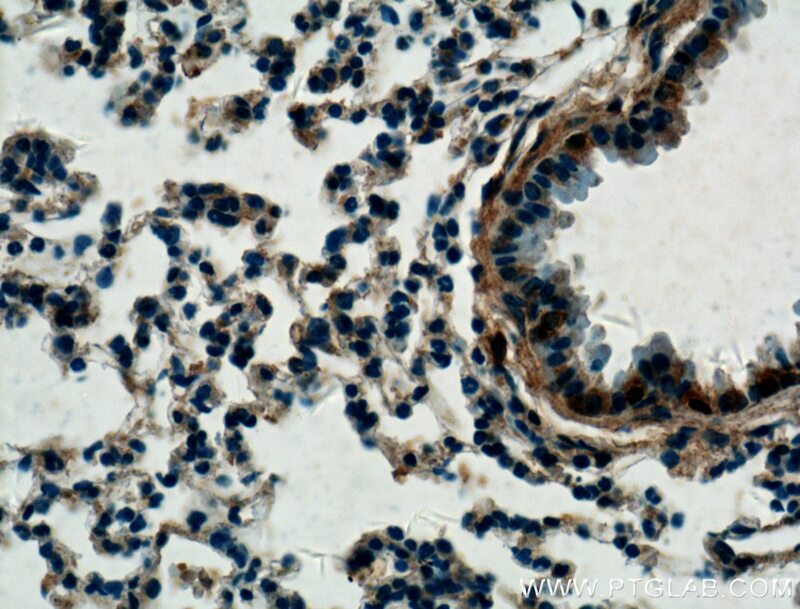 Immunohistochemical analysis of paraffin-embedded mouse lung tissue slide using 20344-1-AP( LASS2 Antibody) at dilution of 1:200 (under 40x lens).